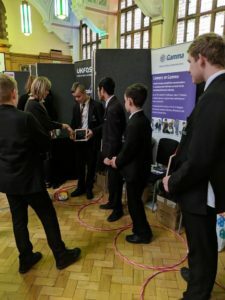 10 of our Year 9 students paid a visit to Manchester University on November 28th to partake in a TeenTech Event! 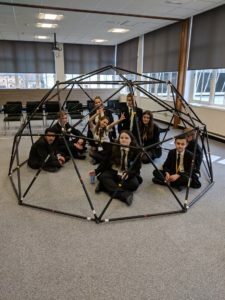 We were given the chance to join 30 Greater Manchester schools at the large scale regional event and be inspired by leading employers in the science, technology and engineering sectors. Throughout the day they took part in numerous activities and challenges. We had amazing success, including a certificate for designing the best gadget – a smart wardrobe that helps you choose your outfit based on your plans that day! One of our pupils even won a high-tech set of headphones for getting the most correct answers in the shortest amount of time during a KPMG quiz. He was in competition with over 400 other students at the event! We are very proud of how wonderfully our students represented the academy and were pleased to hear reports of their impeccable behaviour on the day. © Co-op Academies Trust. All rights reserved.